Look To The Past To Save The Future! 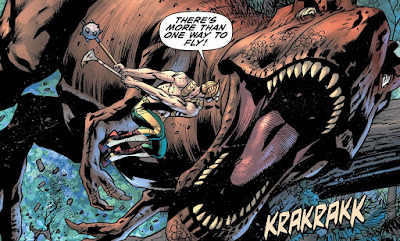 DC's soaring solo title continues this month in the pages of Robert Venditti's Hawkman #3. While searching for the next puzzle piece in his mission to save the universe, Carter Hall finds himself directed to the primordial world of Dinosaur Island. ...but, we're not going to spoil that for you! 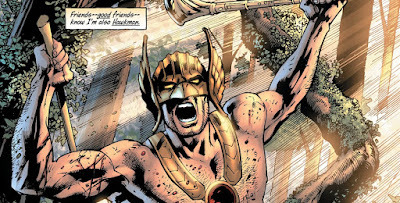 Hawkman #3 takes the series soaring to new heights! Get ready to be wholly immersed in the wildest chapter of this exciting solo series to date! Robert Venditti is a genius, effortlessly weaving an epic adventure spanning countless centuries worth of DC's most complex character - and topping himself with every subsequent issue! Bryan Hitch's art is ferocious, presenting a determined Carter Hall in the fight of his life amidst countless creatures looking to end him once and for all. It's sweeping majesty of the finest kind, and it's just the sort of thing that this decades old character truly deserves! The end result is a sweeping, soaring epic adventure that would have Indiana Jones turning green with envy! A sensational solo series that cannot be beat, and gives Hawkman his due! Rating: 5/5 - "A sensational solo series that cannot be beat, Hawkman soars to new heights in one of the year's best books!" 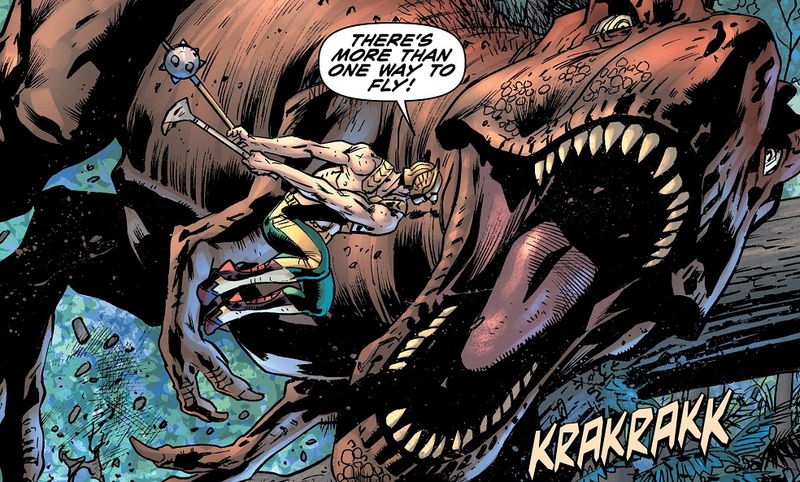 Hawkman #3 hits newsstands today. Head on out to your local comic shop and secure your copy now!